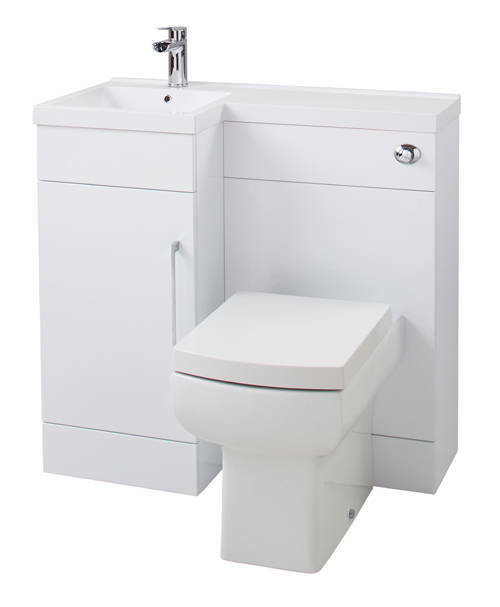 Italia Furniture > Compact Vanity Pack With BTW Unit & Basin (LH, Gloss White). 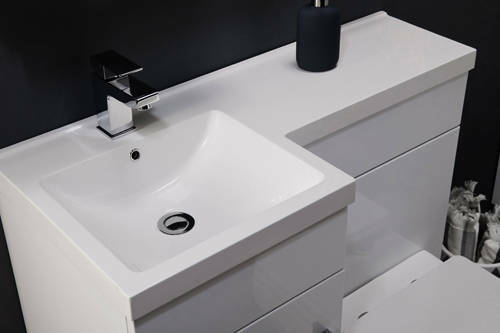 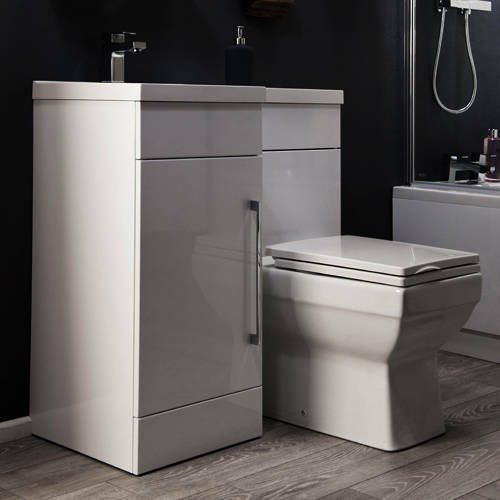 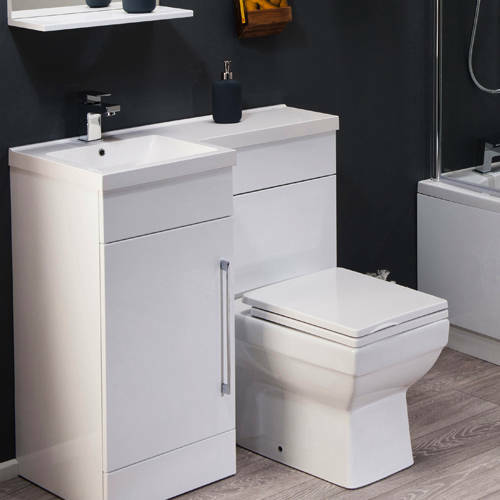 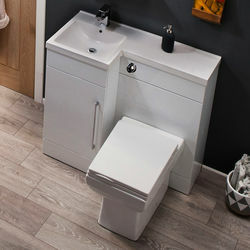 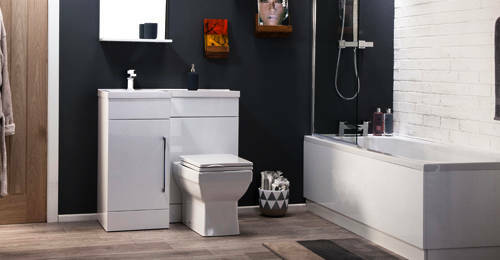 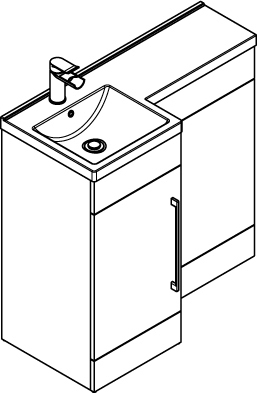 Maze L shaped compact bathroom furniture pack in gloss white finish with vanity unit, btw unit and basin (left handed). 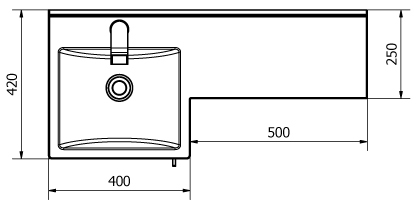 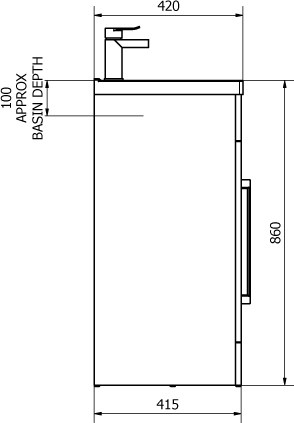 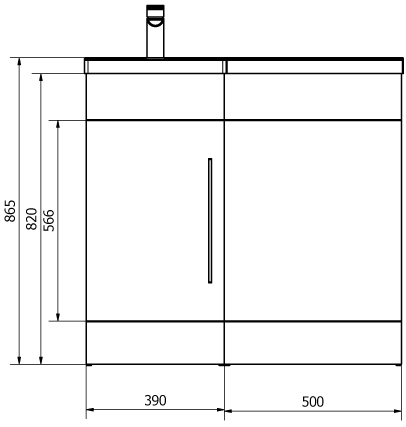 Complete unit size: 900W x 860H x 420D mm.